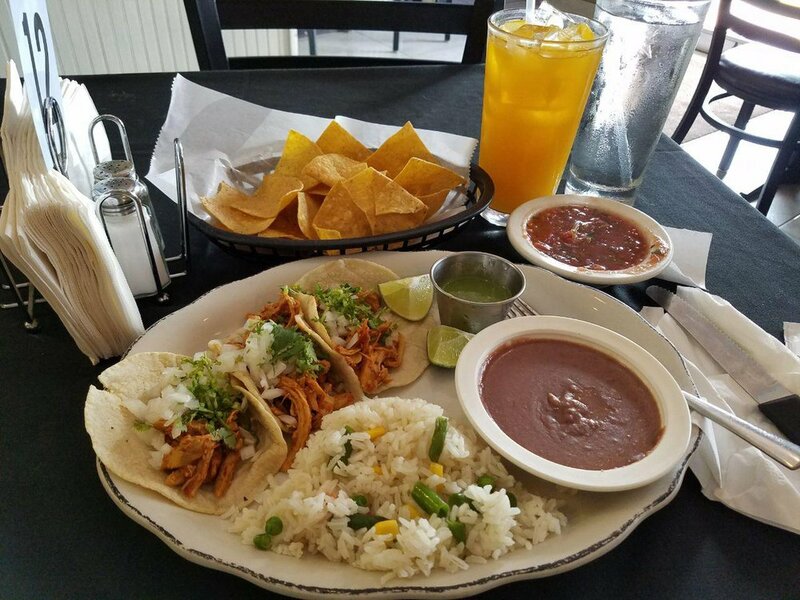 Since 2009, El Guanaco Taqueria y Antojitos Restaurant, has been serving authentic Mexican and Salvadoran food. 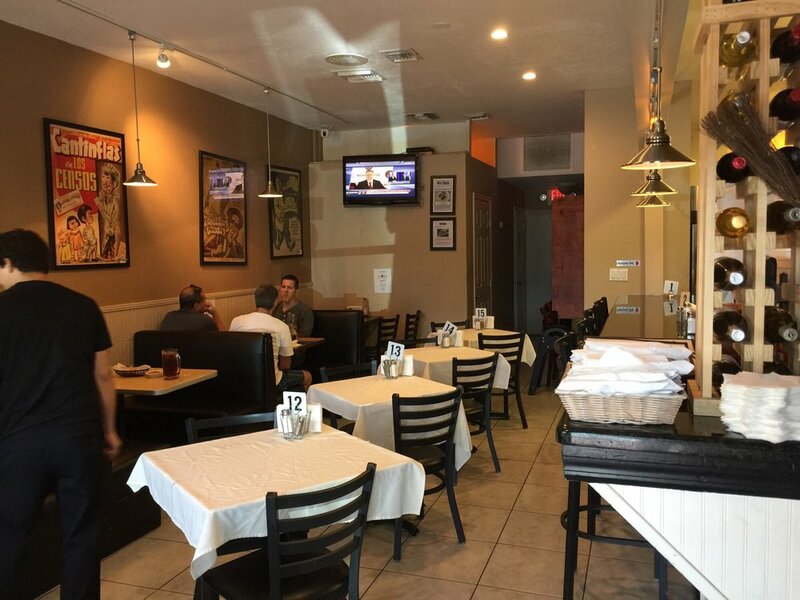 We pride ourselves on providing our guests with excellent service, reasonable prices, fresh ingredients and a family restaurant atmosphere. 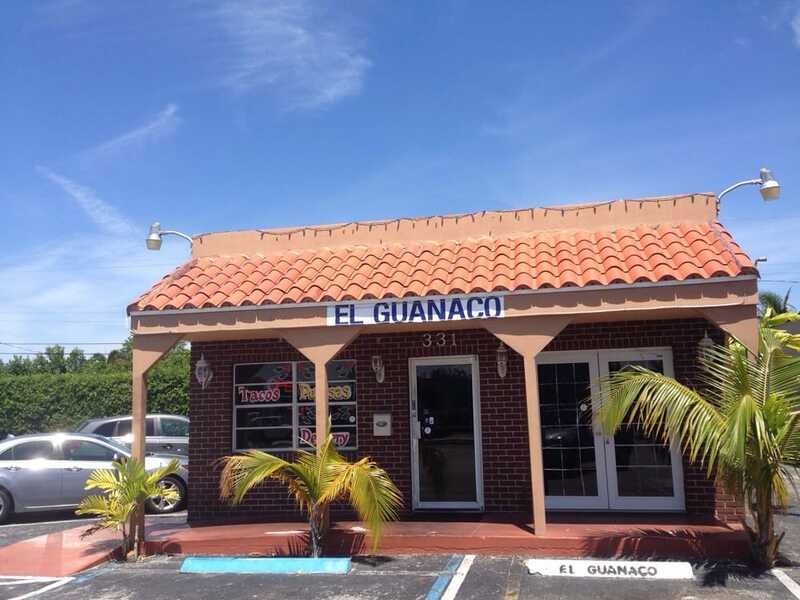 We strive to keep the same level of quality of food and service that has made El Guanaco a staple in the Oakland Park, Wilton Manor and Fort Lauderdale area. 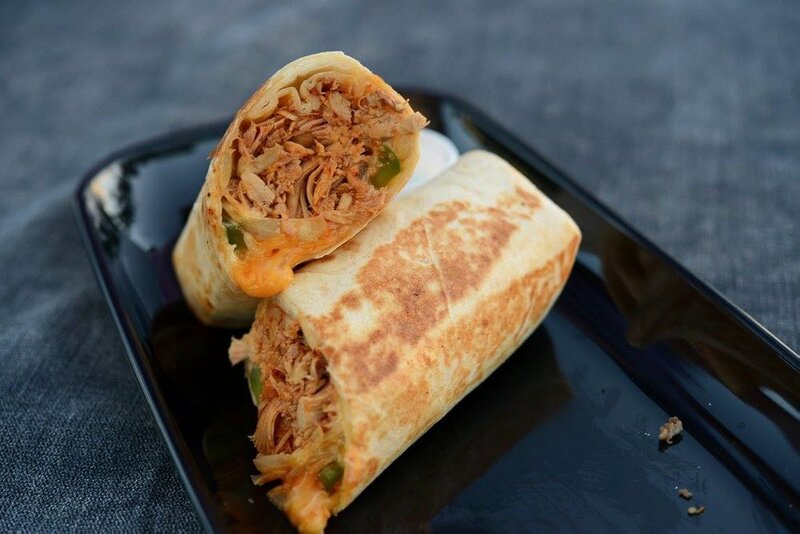 A warm flour tortilla filled with 2 eggs scrambled with chorizo, onions, peppers, tomatoes and refried beans. A warm flour tortilla filled with 3 eggs scrambled with steak, onions, peppers, tomatoes, cheese, and refried beans. Fried or boiled yuca. Garnished with our pickled slaw, red tomato sauce, cotija cheese, and fried pork chunks. Mixed iceberg lettuce with romaine lettuce, tomatoes, green peppers, red onion, cucumber, avocado slices, Mexican blend cheese, and crispy corn tortilla chips. Our fajitas are served with corn or flour tortillas with sauteed green peppers, onions and tomatoes. Served with a side of pico de gallo, sour cream, guacamole, lettuce tomatoes, and cheese. With sauteed green peppers, onions and tomatoes. 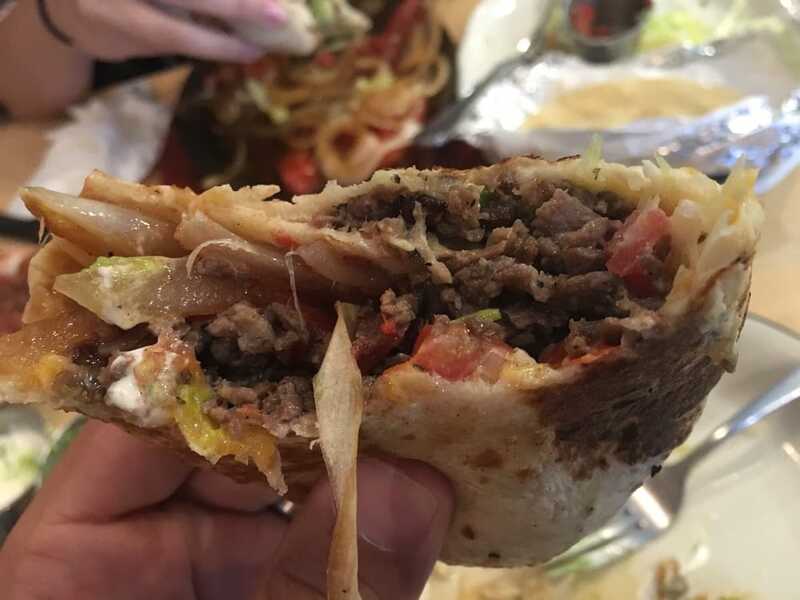 Our signature burritos start with a 12" flour tortilla filled with sauteed onions, peppers, sour cream, cheese & pico de gallo. Then grilled until golden. Choice of steak, grilled chicken, chorizo or al pastor on a telera bread roll with mayo, refried beans, lettuce, tomatoes, avocado slices, onions, and pickled jalapenos. Served with french fries. 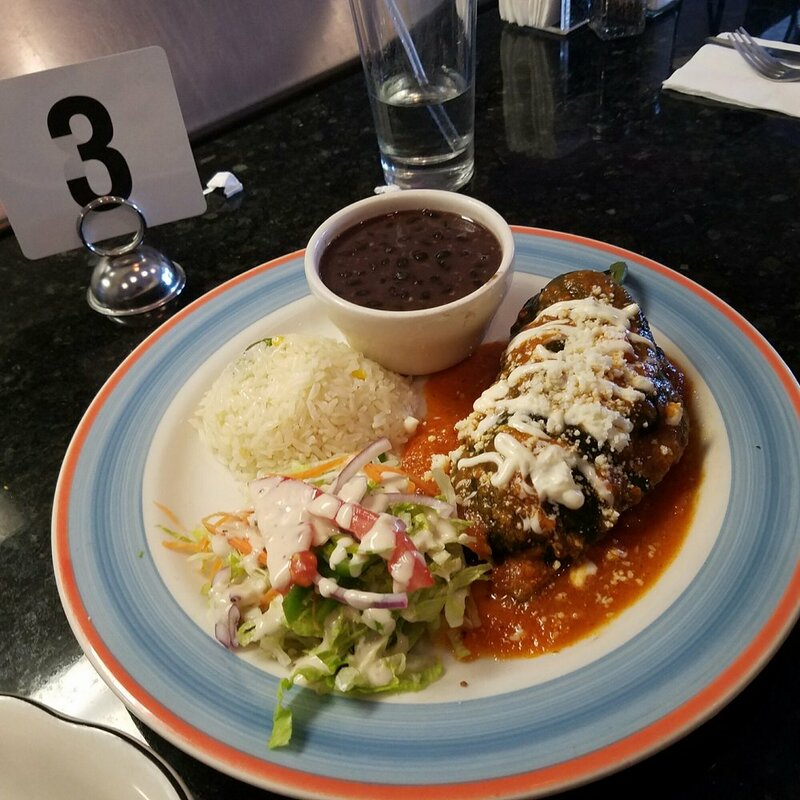 Poblano pepper stuffed with steak, vegetables, and cheese. Topped with ranchero sauce and cotija cheese. Served w/ rice, black beans, salad or fried plantains. 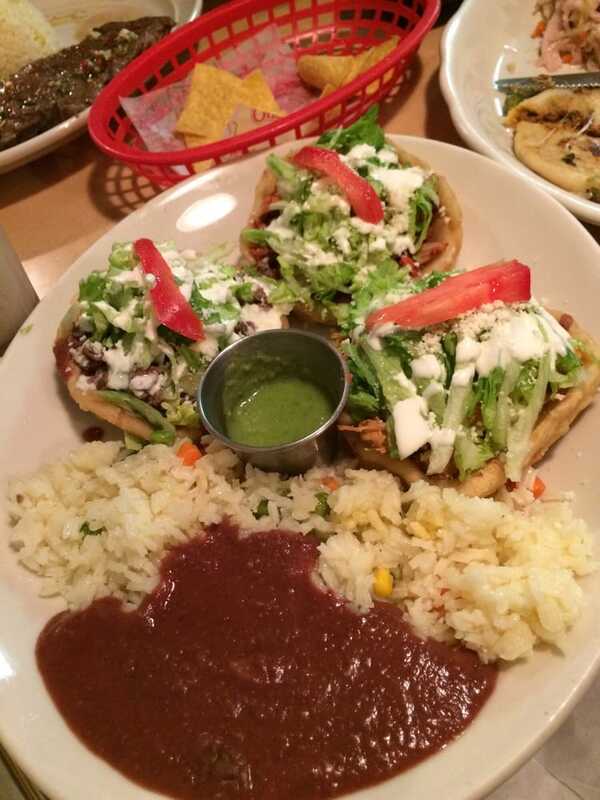 Three thick corn tortillas topped with refried beans, steak or chicken, lettuce, tomatoes, cotija cheese, and crema. 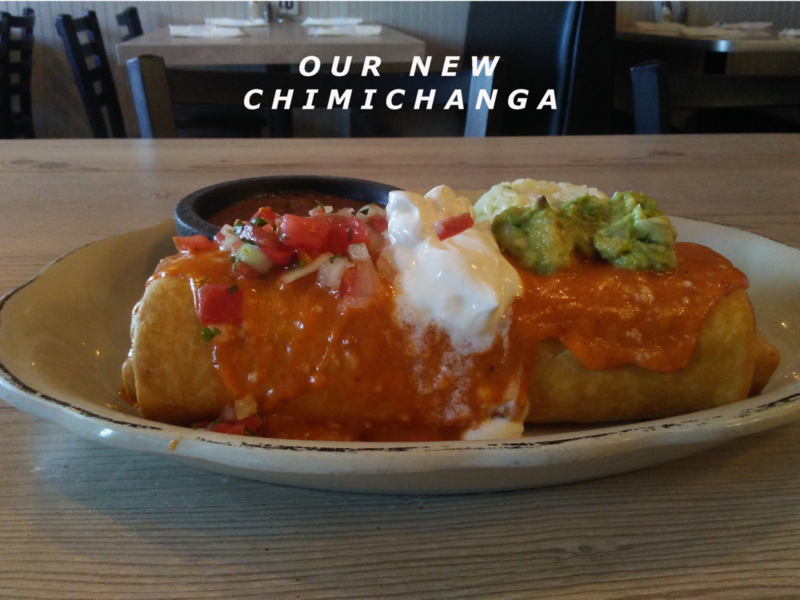 Our signature chipotle chicken, steak or carnitas burrito deep fried then smothered w/ red or green tomatillo sauce and cheese. Garnished w/ sour cream and pico de gallo. Kids menu for kids 10 & under. All served with rice & beans or french fries. Steak with sauteed onions, peppers and tomatoes in a red sauce. 12" flour tortilla stuffed with real crab & shrimp sauteed in our special sauce. Topped with green tomatillo sauce, sour cream & guacamole. Served with rice and refried beans. Sauteed shrimp simmered in a white wine & garlic butter sauce. Served with rice, black beans, sweet plantains or side salad. 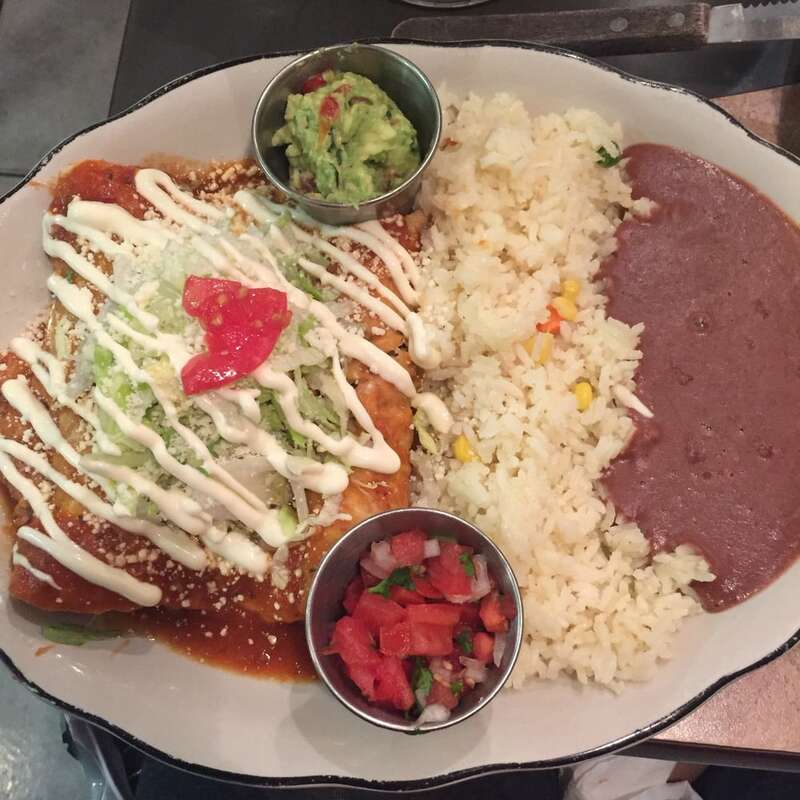 Served with refried beans, rice, and our spicy green tomatillo sauce. Served with pickled cabbage and red sauce. Includes a non-alcoholic beverage. 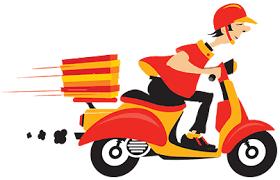 Sweet or unsweetened iced tea, can of coke, sprite, diet coke or bottled water. All specials are served w/ 2 sides. Rice, refried beans, black beans or salad. Grilled chicken breast garnished with sauteed onions. Grilled Tilapia garnished with pico de gallo. 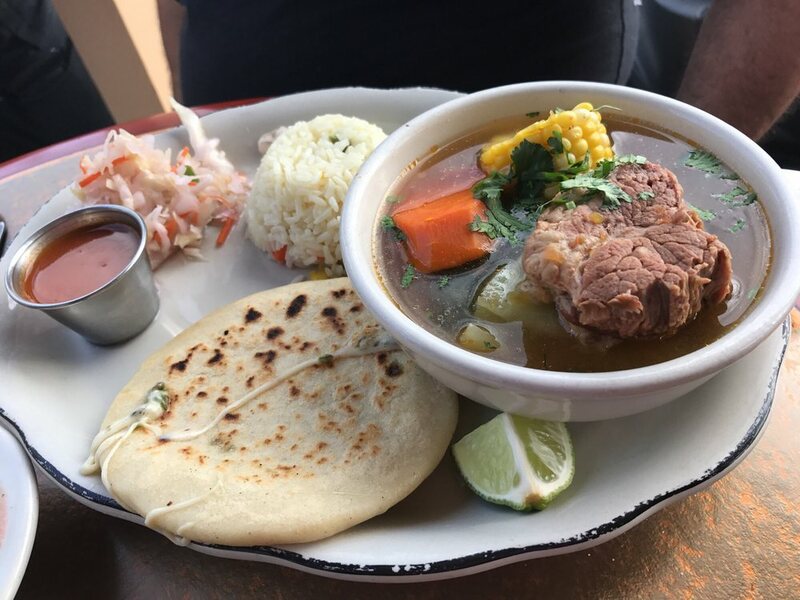 Served with a side of our homemade green tomatillo sauce. Garnished with lettuce, pico de gallo and a side of avocado. Served with a side of tomatillo sauce. 1 taco, 1 tostada with your choice of meat &1 cheese enchilada. 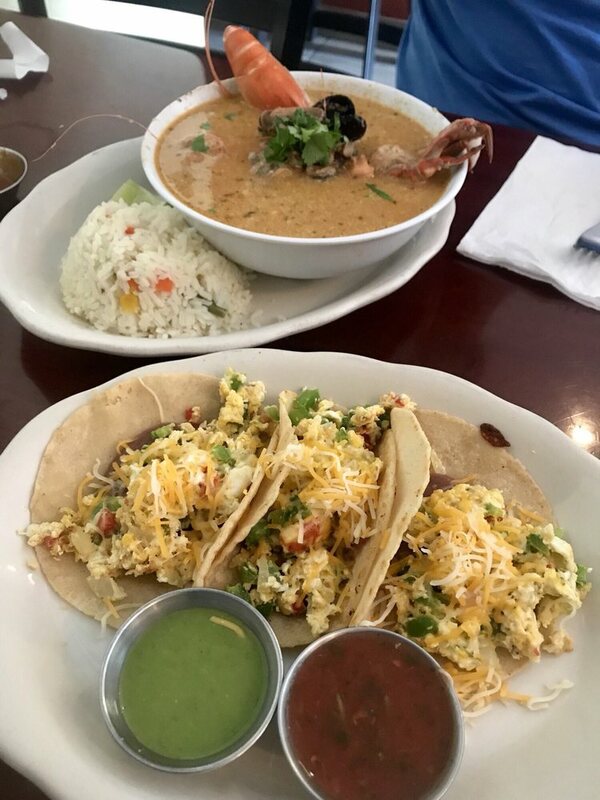 Served with a side of our spicy tomatillo sauce. Stuffed poblano pepper with chopped beef & cheese. Garnished with our homemade red sauce, cotija cheese & crema. Grilled steak with sauteed onions. Topped with red or green sauce. Garnished with lettuce, cotija cheese, crema & tomato. CAN'T MAKE IT IN TO EL GUANACO?? WE'VE GOT YOU COVERED.